Dr. Kenzo Tenma is a talented Japanese brain surgeon working at a leading hospital in Germany. One night, Dr. Tenma risks his reputation and career to save the life of a critically wounded young boy over that of the town mayor. A string of mysterious murders begin to occur soon after the operation, and Dr. Tenma emerges as the primary suspect despite no incriminating evidence. 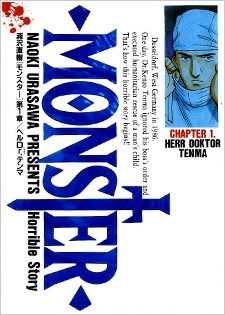 Nine years later, Dr. Tenma encounters the boy once again - and learns that he has become a terrifying serial killer. To atone for his naive decision that fateful night, Dr. Tenma embarks on a manhunt across Europe to take the very life he once saved.